A Different Truth by Annette Oppenlander takes place in 1968, the year when the Vietnam War was at its bloodiest. Along with his best friend Tom, sixteen-year-old Andy Olson is banished to Palmer Military Academy. Oppenlander deftly weaves an insightful coming of age story in the year when the United States was commonly associated with unrest, the counterculture of the 1960s, and the never clearly explained or understood Vietnam War. The things that Andy and Tom have to endure at the boys' military prep school sheds some light onto the struggles of young men trying to adapt and survive in the authoritarian world of the military. I like the way in which Oppenlander keeps the thriller aspects of the book grounded, and I also like the way she handles the hazing scenes that some of the boys have to bear. The scenes are handled well, without too much exploitation of the victims and the perpetrators. In fact, it may even serve as another platform to generate discussions about hazing and bullying in schools. Nevertheless, some readers may prefer to be forewarned about this content. 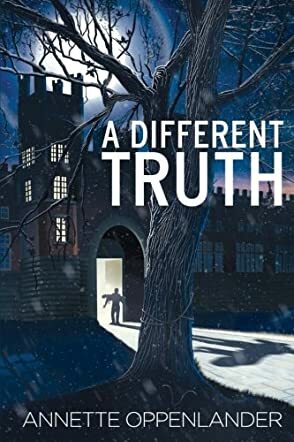 A Different Truth is a powerful and thought provoking tale that allows us to think about our moral decisions. Readers who are personally familiar with the history of the Vietnam War will be fascinated by the story of the boys at Palmer Military Academy, whereas the generation that was born after the war would be able to use it as a trajectory to discover more about this unseen but crucial part of history.